China’s Currency Tumbles, but Refuse to Hold Dollars? Home » China’s Currency Tumbles, but Why Do They Refuse to Hold Dollars? China’s Currency Tumbles, but Why Do They Refuse to Hold Dollars? At the same time they’re devaluing their currency, China is moving away from buying the dollar. What’s behind their latest maneuvers? China has a major problem. It seems its people want out of the Chinese economy and fast — at least the people with money do. They want to move their money someplace where it will hold its value. China is now routinely devaluing its currency and the offshore version of the renminbi, the yuan, is falling like a rock. It’s like catching a falling knife. Plain and simple, people want out. This is leading to massive capital flight from China, and the government is worried. Therefore, they are trying to shut the “money flow” doors by preventing Chinese banks from selling yuan to buy dollars. This is Chinese “managed capitalism” at its finest. The Chinese experience with preventing capital markets from working normally has not been a pretty sight. The collapse of the Chinese equity markets over the summer was a perfect example of this, and now, the first few weeks of 2016 haven’t been so rosy for Beijing either. When you prevent the market water from flowing, it simply builds more pressure, which can release in a downward selling spiral. This time is no different. Preventing Chinese banks from buying dollars will only increase the black market demand for dollars and build up more pressure to sell the yuan, thus increasing the veracity of its devaluation, which will cause shock waves around the world. No wonder the Chinese were so eager to get the yuan into the IMF’s Special Drawing Rights, before all of this hit the fan. But is there another dark cloud hovering over this whole scenario? What if, in addition to preventing capital outflow, China doesn’t want to own dollars because they are concerned about the American currency as well? What if they have lost faith in the credit of the United States government as our sovereign debt approaches $20 trillion? The Chinese still own over one trillion in U.S. dollar currency reserves; although, this number has been trending downwards. A massive spending bill that Congress just passed in the dark of night is a perfect example of American irresponsibility and fiscal recklessness. The bill was stuffed so full of pork, it could feed China’s billion people for a long time. What if China has simply had enough? What if they think that we have neither the will nor the ability to pay back this enormous amount of money? On the flip side, China has been buying a ton of something else: gold. The Chinese central bank just reported an updated figure for its gold holdings to the IMF, as required routinely. However, many think this number could be drastically higher than they stated. 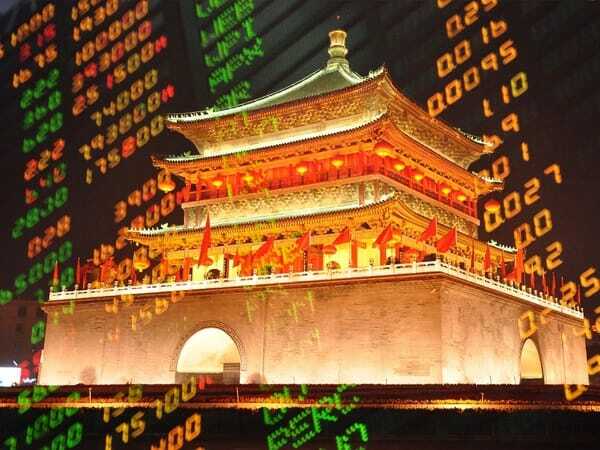 It seems China may be preparing for the collapse of the global financial system that has existed since the end of World War II, the hegemony of the US dollar in trade and as a reserve currency. As someone who has a strong interest in the stability of the dollar, you should at least think about this possibility yourself. What would you do if the dollar devalued substantially? Would you be prepared? One of the best steps you can take to prepare yourself is by holding safe haven assets such as gold and silver. When you are ready to take the steps to protect your savings, we will be here. China set a new gold holding record in 2015. Read why here.